You simply can't forget our guy. Orlando's old-fashioned Hollywood looks are just right for his black tie outfit. 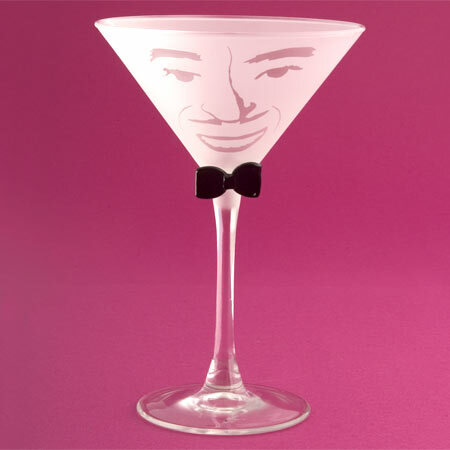 His face is permanently etched onto this graceful martini glass and his glass bowtie - handmade by California artist Kathryn Gooding - is attached to the stem. Orlando's bowtie comes in black or red. 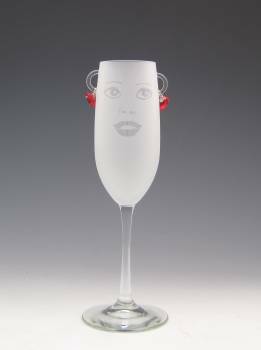 Available in martini, wine and champagne. Now also in a shot glass!